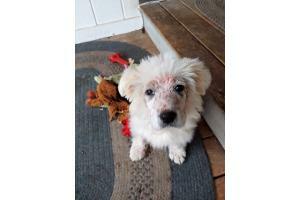 Joey is a darling little Pyr pup who came to TGPR with a sad case of mange. Happily, the meds are already killing those darn creatures and she feels so much better! 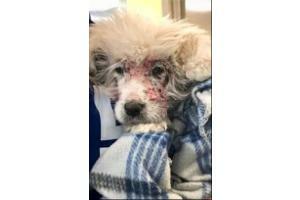 You can see that she has a fluffy "helmet head" and we are sure she will be a beautiful pup once her hair comes back in. She is enjoying enjoying her foster home.